- Anvil Solid Low-Profile Sandwich Trim Twill Cap. 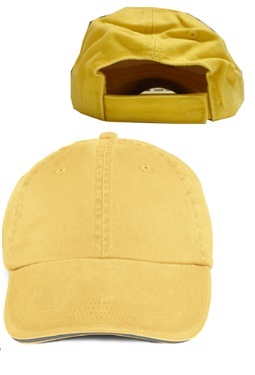 - 100% cotton twill; six panel cap with matching color sweatband. - A pre-curved bill has four rows of stitching and fabric closure with hook and loop fasteners. - The bill has a Navy sandwich trim. Anvil Solid Low-Profile Sandwich Trim Twill Cap. 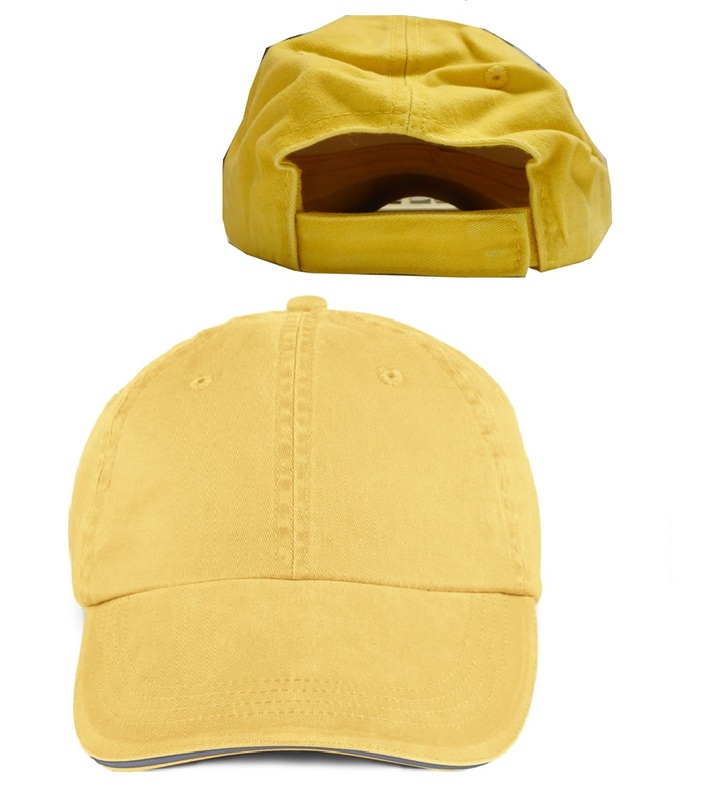 100% cotton twill; six panel cap with matching color sweatband. A pre-curved bill has four rows of stitching and fabric closure with hook and loop fasteners. The bill has a Navy sandwich trim. Unconstructed crown with top button and six sewn eyelets. Woven label. Pigment-dyed fabric. One size fits all. Colors: Aqua, Coal, Dijon, Flamingo, Red Rock, Sunshine, Tangerine, and Taupe. All with Navy sandwich trim.